In recent years, with more and more rigorous environmental policies and requirements, as well as rapid development of logistics express business, the more electric tricycles and electric motorcycles are rapidly replacing fuel motorcycles and other means of vehicles. Batteries are their soul and core components of EV, their design lifespan is nominated about 2~3 years, but actually the battery is usually premature failure less than 12 months used without Battery Care of Battery Saver or Battery Repaired periodically. Make to give you a longer travelling distance and better experience. 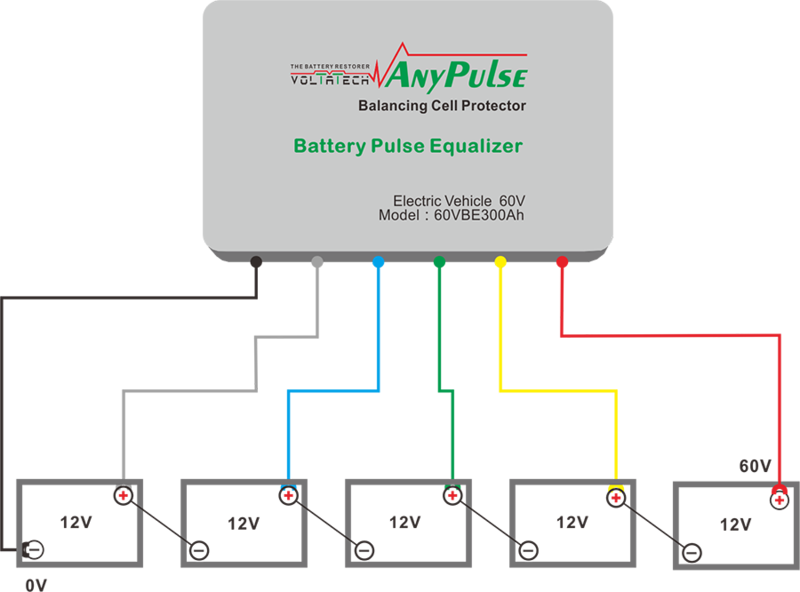 By adding our smart pulse equalizer to your vehicle power battery bank, the cell batteries are desulfated and equalized on a consistent basis so they will always be in as new ones. It's used in 60V20Ah~300Ah Electric Vehicle Power battery. The Electric Vehicle Battery Equalizer identified herein is covered by a 2-YEAR warranty valid from the date of purchase. This warranty covers defects caused by faulty components or workmanship, including the labour required for repair in our authorized workshops.This warranty does not cover defects caused by incorrect installation, improper use or abuse. The existence of such causes shall be determined by our workshops technical services. Looking for ideal Battery Equalizer with Pulse Protection Manufacturer & supplier ? We have a wide selection at great prices to help you get creative. All the Equalize Battery Capacity are quality guaranteed. We are China Origin Factory of Care of Battery Saver. If you have any question, please feel free to contact us.